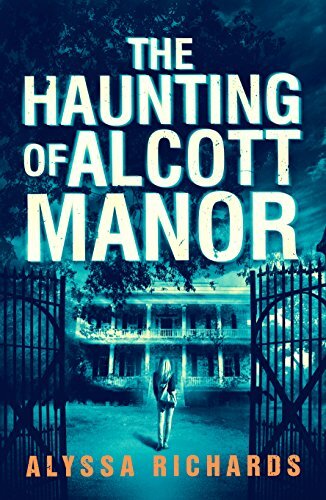 The Haunting of Alcott Manor is a contemporary gothic paranormal romance. If you like fateful chemistry, engaging characters, and mysteries that keep you guessing until the very end, then you’ll love the first book in Alyssa Richards’ chilling new series. Alyssa Richards is the Amazon best selling author of The Fine Art of Deception series and The Haunting of Alcott Manor series – a contemporary gothic trilogy. She loves living in the South with her husband and two children. She also loves good espresso, her rescue dogs, magnolias and gardenias, and, of course, reading a great book. She grew up running barefoot in the Blue Ridge Mountains of North Carolina, where her favorite weekly adventure was a trip to the library with her mom.